Woven through a rugged alpine environment, crossing creeks and diving with the slopes of North Star Mountain, the Trickle Creek Golf Resort is one of the most thrilling courses you’ll ever play. Designed by renowned architect, Les Furber, this course has been a favourite since 1993. Readers of SCORE Golf Magazine recently awarded Trickle Creek Golf Resort a Bronze medal for Best Resort Course in the 2003 Golfers’ Choice Awards, and Golf Digest ranked Trickle Creek as one of the Top 10 Places to Play in Canada. Trickle Creek features amazing scenery and dramatic elevation changes throughout. Each hole has been carefully crafted to make the most of the spectacular wilderness setting. It offers fabulous views, wide fairways and bent grass tees. This is a golf experience far beyond the ordinary! The award winning Trickle Creek Residence Inn by Marriott is only a 3 wood drive away from the 18th tee. This full service, premiere resort hotel is the ideal venue from which to base your golf vacation. All rooms command vistas of the majestic Rocky Mountains or the world-class ski slopes of the Kimberley Alpine Resort. Whether itâs great dining at Kelsey’s Bar and Grill, a swim in the outdoor pool or a soak in the hot tubs, the Marriott offers the perfect conclusion to your round at one of Canadaâs finest mountain golf experiences. 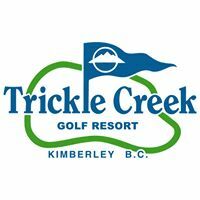 Guests staying at Trickle Creek Golf Resortsâ preferred accommodation properties (including the Trickle Creek Residence Inn by Marriott and Polaris Lodge) receive reduced green fee rates and priority access to preferred tee times.